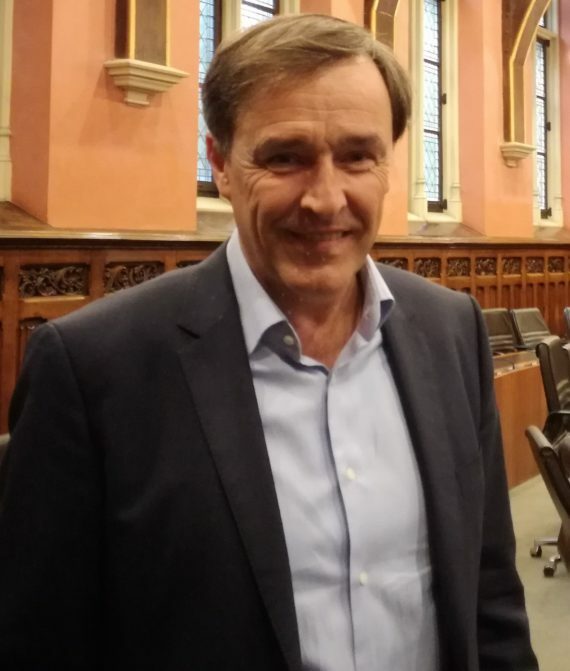 The West Flemish entrepreneur and former member of the Flemish Parliament Ivan Sabbe recently joined the Board of Directors of Transuniverse Forwarding. He is the company’s first non-executive director. Ivan Sabbe is an entrepreneur born and bred. He started his career at Prado, the family carpet business in Kuurne. He later took up the post of commercial director at Pauwels Trafo. However, his greatest claim to fame is as the first CEO of Lidl Belgium. The German chain saw its fastest development under his leadership. Within 13 years, he took the chain to 278 outlets and a turnover of 1 billion euros. After diverging unexpectedly into politics – he was a member of the Flemish Parliament for five years, representing the Lijst Dedecker party – he decided to devote all his energies to business again. In 2012, he purchased the food service wholesaler ISPC, which he sold successfully five years later to the Dutch Sligro group. With his insights as a successful strategic thinker in business, Ivan Sabbe strengthens the Board of Directors in a time when Transuniverse is about to enter a new phase of growth and innovation. © Copyright 2019 Transuniverse Forwarding. All right reserved.